2. This will take you to the "Sound" dialog. 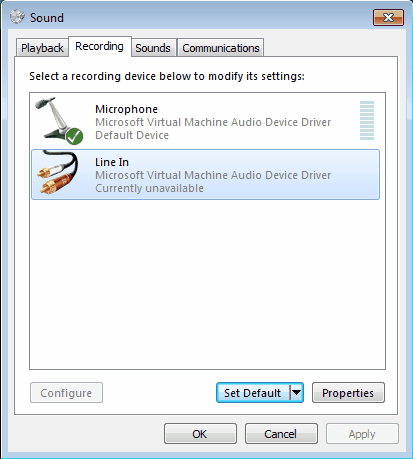 Select the "Recording" tab at the top of the window. Select the "Line In" option. Next, press the "Default" button. This will cause a check mark to appear indicating that the option has been selected. 3. Press the "Properties" button. 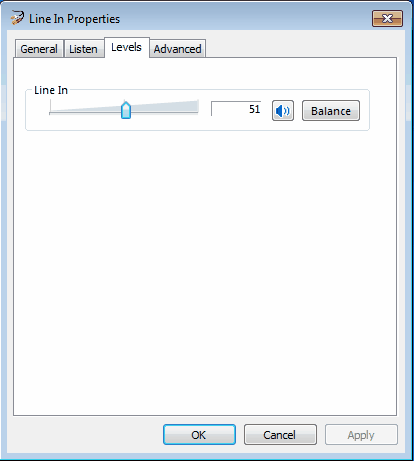 This will display the "Line In Properties" dialog. Select the "General" page. Make sure the "Device Usage" option at the bottom of the page is set for "Use this device (enable)." 4. Now choose the "Listen" page. 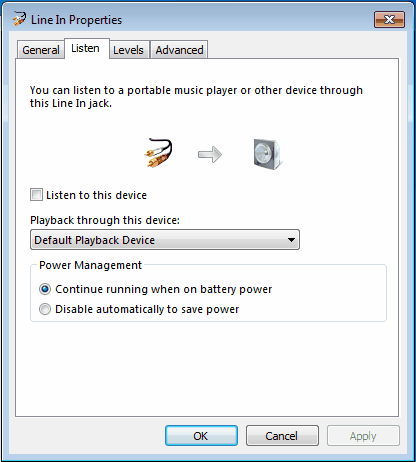 Make sure the "Listen to this device" option is not enabled, otherwise there will be an echo in the playback. 5. Switch to the Levels page. Adjust the levels to about 50%. 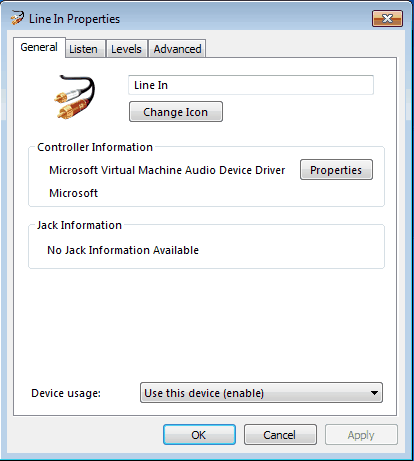 If necessary, you can return to this dialog and adjust them later. 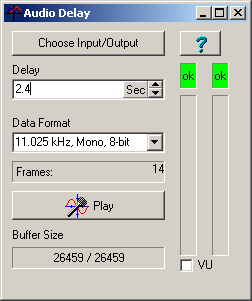 When you have completed all the steps, press OK twice to exit back to the Audio Delay program.